Running down your back is the spine. It is made up of 24 bones called the vertebrae and in between each vertebra is soft, gel-like cartilage called discs. The function of the disc is to smooth the movement of the vertebrae over each other as we bend and stretch our back. They also cushion the vertebrae when we run or jump. Back pain occurs most often when the discs don't function as intended and a nerve gets pinched. The major cause is what is referred to as a slipped disc. Most of the time non-surgical treatments will work. However if the pain continues for many months or there are other complications, the person may be a candidate for back disc surgery. What is Back Disc Surgery? Discectomy where a portion of the disc is removed to relieve the pain. Disc replacement where the damaged disc is removed and replaced with an artificial disc. Spinal fusion where the damaged disc is removed and the adjoining vertebrae are fused together. 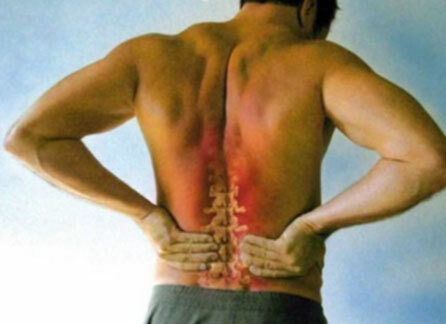 The specific back disc surgery procedure will depend on the specific treatment prescribed. The procedure is performed in a hospital or clinic. Generally a surgeon will follow standard surgical practices and make an incision along the spine. The surgeon will then move aside the intervening tissue to expose the actual vertebrae. Once exposed the surgeon will remove or repair the disc. In the case of a spinal fusion the surgeon will not only remove the disc but also fuse the vertebrae together using pins, plates, and/or bone grafts. Once this is completed the patient is sewn up and undergoes a recovery and rehabilitation programme. An alternative to this open-back procedure is to use endoscopic surgical techniques. This is a relatively new technique. The surgeon makes a small incision directly over the affected area. A special instrument is inserted. This instrument incorporates a light source, video camera, and tools so the surgeon can work. The surgeon completes the procedure and sews up the small incision. The patient is then released and begins the rehabilitation programme. Back disc surgery is available on the NHS. A patient seeking this treatment will follow the same process as any other surgical or hospital procedures. At a private hospital the cost for back disc surgery would be in the range of £5,000 to £10,000 depending on the surgery and hospital stay. Medical insurance may help reduce the cost if back disc surgery is covered. There are a number of private hospitals and clinics in the UK which offer the treatment. Back disc surgery should be a last resort to relieve chronic back pain. If that is what your GP recommends then you must decide whether to use the NHS or a private hospital. Regardless of where the surgery is performed, expect to have a period of rehabilitation. The length will depend on the surgery and your general health.